Hayfield Junior Football Club: Merry Christmas Everyone! 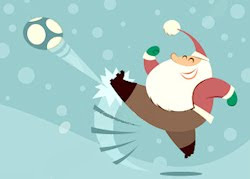 All of the coaches, committee members and helpers at Hayfield Junior Football Club would like to wish all of our players a very merry Christmas and a happy New Year. 2009 has been a really special year for us where we've become a proper football club. Let's hope we continue to make great progress in 2010.